Alaskim | Surviving Wildlife, Wildflowers & Wild-Haired Children: Where to Start? Why am I using an exclamation mark? "Soccer!" sounds like fun, which it might be for the players, but not necessarily for the moms who have to drive their 13-year-old daughters to game after game after flip-floppin' game for the first big tournament of the summer. 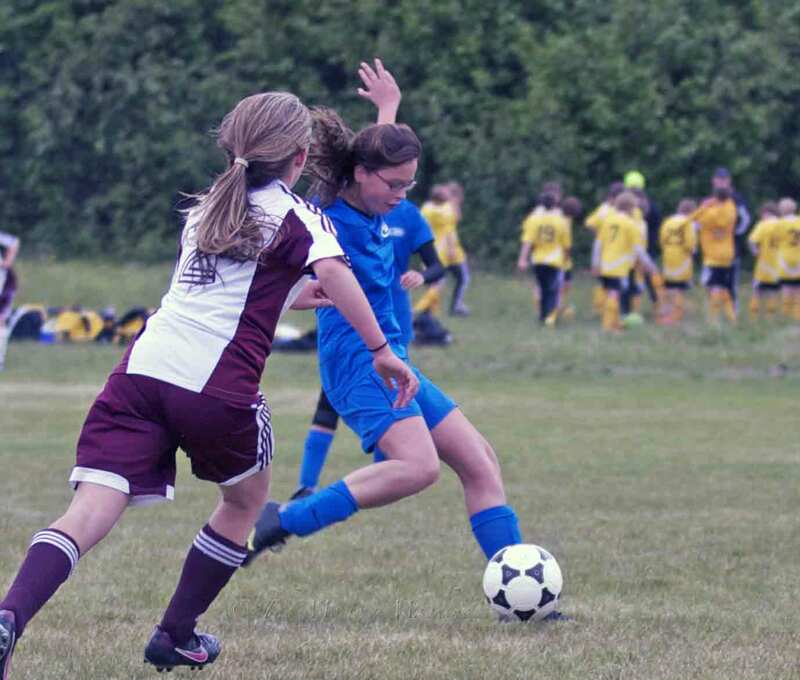 Someone needs to invent a new form of punctuation that will express my combined feelings of exhaustion, slight headache, and pride in my kid's ability to pass a ball across a field using only her feet. "Soccer : P" doesn't quite work. I'm glad you're back, and I'm waiting on the edge of my seat for the haircut story! JDaniel needs to start a sport. These girls look like they are running a lot. I bet the sleep better thn he does. I totally hear you on all that driving. Oh boy!!!!! We have baseball tournments this week so I hear you. Wow, you have been busy. I can't wait to hear all the stories. I watched my mother-in-law spend all summer just driving her two youngest to soccer match after soccer match. It's actually part of the reason I haven't enrolled my boys in sports. I am impressed at your girls playing soccer (football to us) they look like they really enjoy it. Glad you are back online. Glad you're back. Can't wait to hear all about everything!